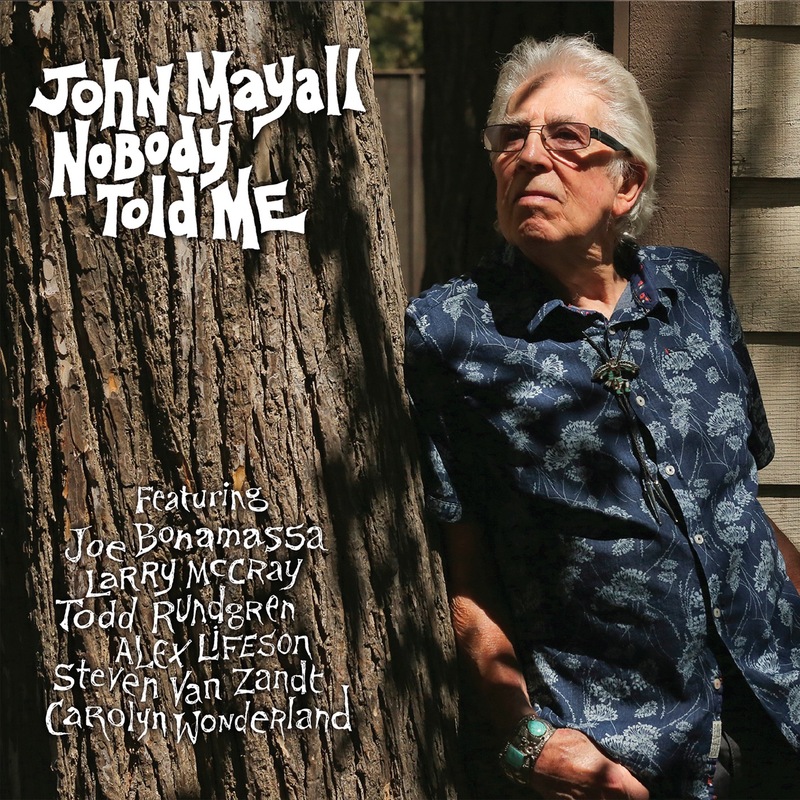 Nobody Told Me, the new studio album from Blues Hall of Fame member, John Mayall, boasts an impressive and diverse list of guest guitarists, all personal favorites of Mayall s including Todd Rundgren, Little Steven Van Zandt of The E Street Band, Alex Lifeson from Rush, Joe Bonamassa, Larry McCray and Carolyn Wonderland who will be joining the band on tour. Also, on hand are Mayall s dynamic Chicago rhythm section of Greg Rzab on bass guitar and Jay Davenport on drums, along with Billy Watts (Lucinda Williams) on rhythm guitar and Mayall s regular horn section, moonlighting from their day job in The Late Show with Conan O Brien s house band. The album was produced by Mayall and Forty Below Records founder Eric Corne at The Foo Fighters Studio 606 on the same legendary Sound City Neve console his one-time protégés from Fleetwood Mac used to record parts of the best-selling Rumors album.